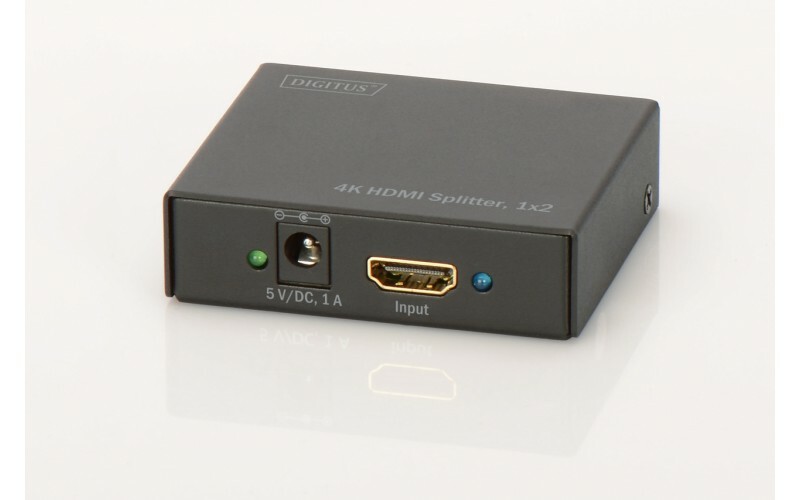 Experience your media content on up to two monitors, televisions or projectors simultaneously in 4K UHD resolution! 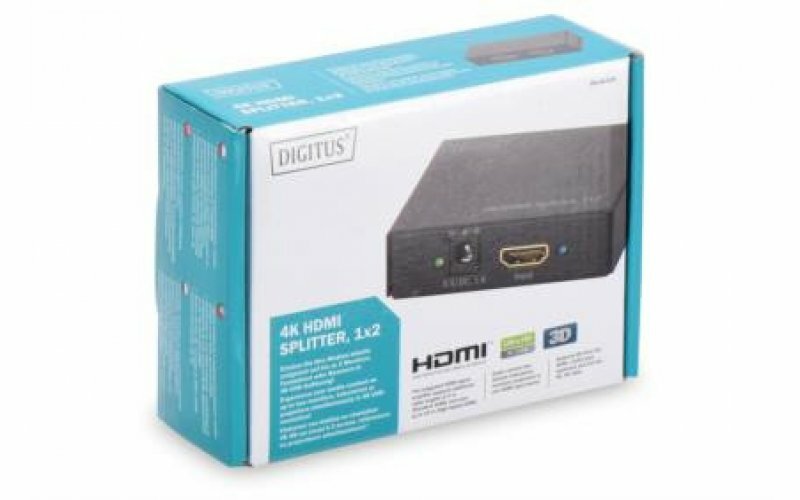 The Digitus 4K HDMI Splitter 1x2 distributes the signal from your HDMI device to up to four monitors, televisions or projectors in 4K Ultra HD resolution. Fiddling with cables each time is a thing of the past. Both Full HD and Full 3D are supported, too. 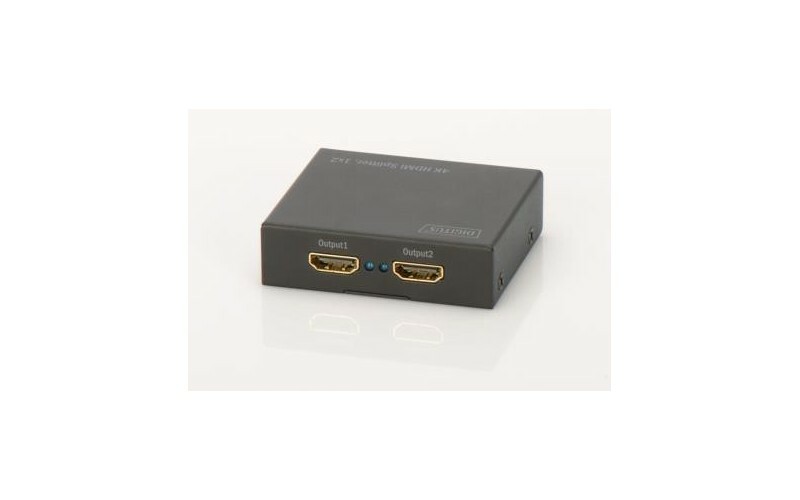 It provides the ideal solution for professional applications, such as video wall presentations or product launches (offices/business spaces, trade fair exhibits, display windows, waiting rooms, restaurants/cafés, etc. 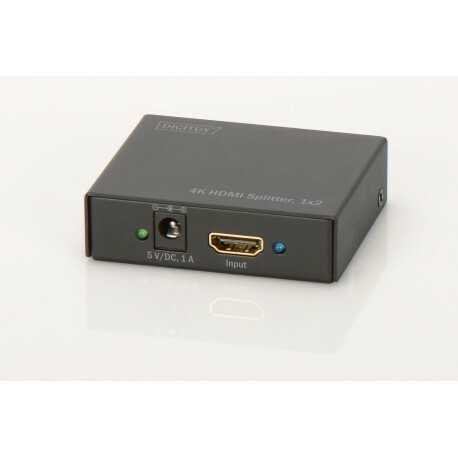 ), as well as home entertainment systems. You can experience your content with sharp 4K UHD resolution, regardless of whether you display images, presentations, or even movies, videos and games, with the 4K HDMI Splitter 1x2.